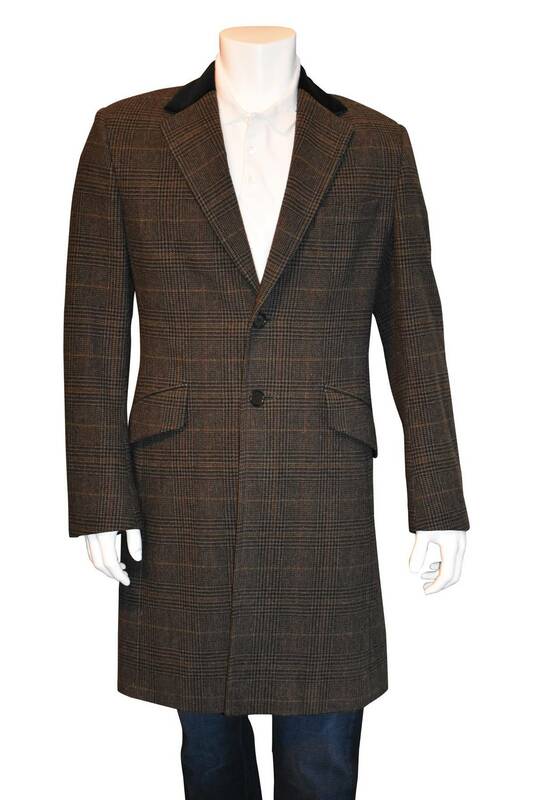 Paul Smith coat in houndstooth. Velvet collar. Fully lined. Split vent to back and flap pockets at front. Front button closure and button detail to cuffs. Fully lined. 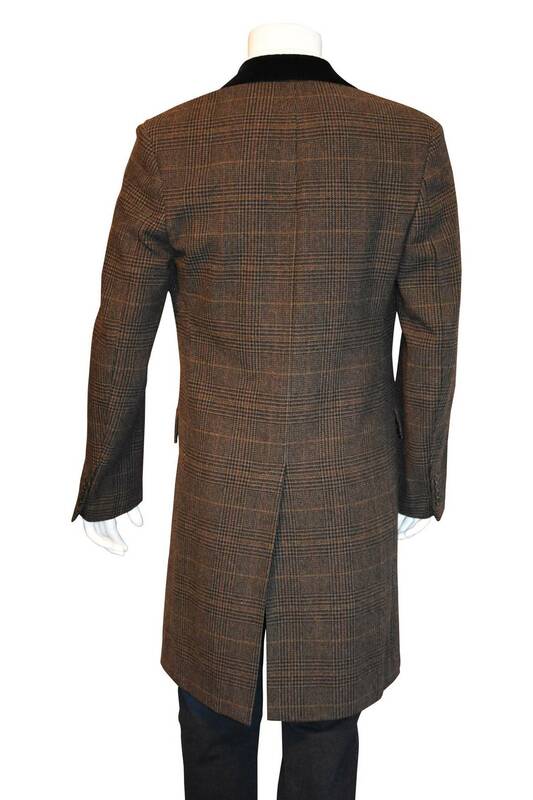 Measurements: 42" Chest, 35" Shoulder 36" Length, Sleeve 26"